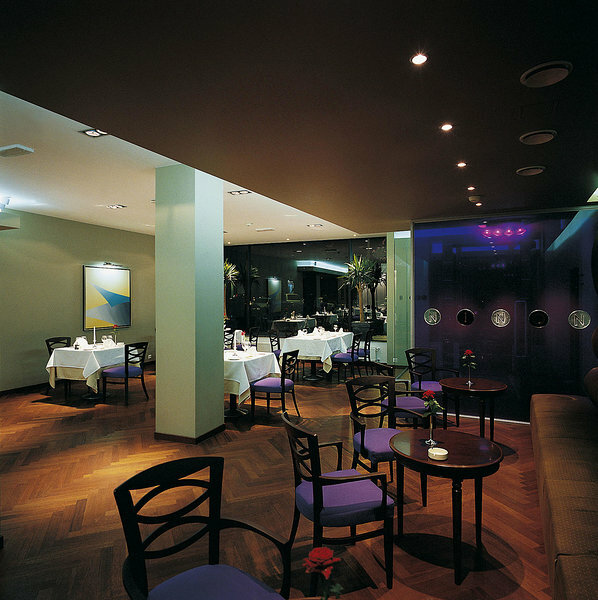 Project: Design of seven partition walls and the bar at the Grand Hotel Viljandi. Project was completed in 2002. 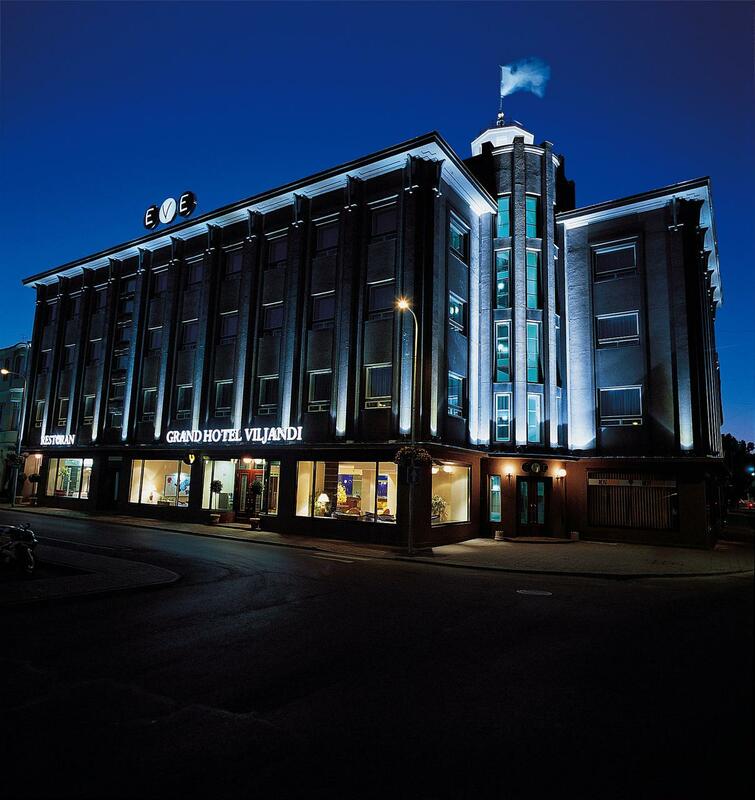 The hotel-restaurant EVE, the first city-like building in the Southern Estonian town of Viljandi, was completed in 1938 according to plans by architect Eugen Sacharias. Art Deco details decorate the interior of this functionalist style building. In 2002, the building was totally renovated and in the course of the renovation, I was asked to design a concept for seven contemporary stained glass windows for the hotel’s restaurant and reception area. The mystification of women’s names and their use in poetry and music is very typical of the 1930’s. Some of the most vivid examples, in the Estonian context, are the songs that the songwriter Raimond Valgre dedicated to his sweethearts. Compositions with poetic and enigmatic women’s names are also the pervasive theme of my glass wall project. 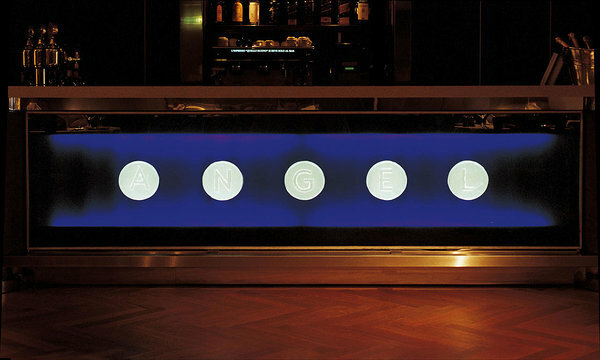 Medallions of cast glass with women’s names run in a horizontal line, traversing the partition walls in the restaurant and reception area. On the glass wall between the reception area and dining room, reliefs form the name EVE in different variations. 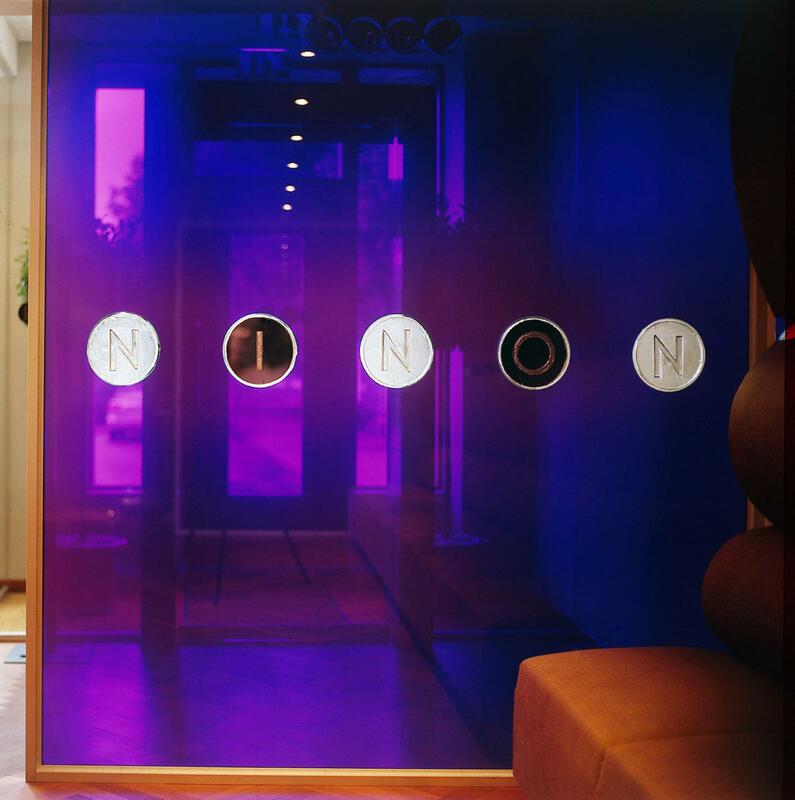 On two of the restaurant partitions, the names MAR and NINON run along a horizontal axis. The name ANGEL, formed by reliefs, runs across the glass panel on the front wall of the bar. I used names which have a personal meaning for me. I lived in Barcelona while I was working on my first large stained glass project; windows for the St. John’s Church in Tartu. 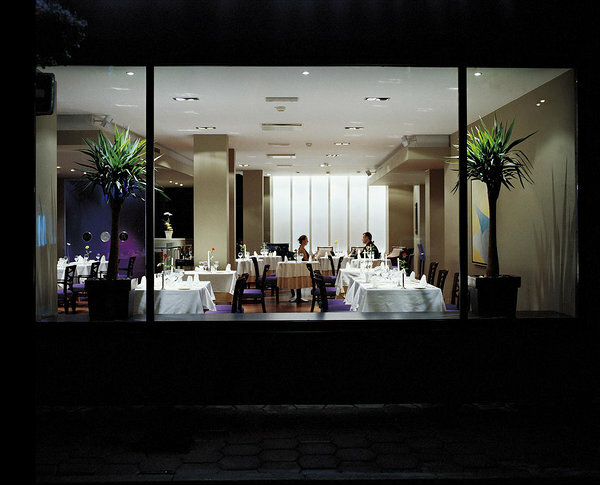 It was the local bar and restaurant culture that helped me discover one of the most genuine aspects of Mediterranean life – nightlife. For the project, I used shining brownish-purple cast glass medallions, which are polished on one side. The letters on the reliefs alternate in positive and negative. The purple-toned glass panels, which have medallions placed in cut openings, are made of laminated tempered glass.